A balanced American offense saw 4 players score in double figures as they earned an opening win over Azerbaijan. After leading Minnesota to a pair of victories to open Big Ten action, sophomore Stephany Samedy earned her first AVCA Player of the Week nod. It is ninth national player of the week award in Golden Gopher volleyball history and the first since Sarah Wilhite received recognition on Nov. 29, 2016. The United States won its second straight Pan American Cup title, outdoing the Dominican Republic for the second year in a row, rallying for a five-set win. Canada rounded out the podium, taking bronze with a sweep of Brazil. The United States and Dominican Republic will battle for the Pan American Cup title for the second straight year after each won semifinal matches on Friday. Sarah Wilhite is an American outside hitter. She attended University of Minnesota and moved to Italy to play professionally after graduating from college. Wilhite played at the Eden Prairie High School and was ranked as the 14th best Senior Aces. During her high school and club career, she earned the First Team All-America mention. She broke the Eagles’ season kill record during her senior year. 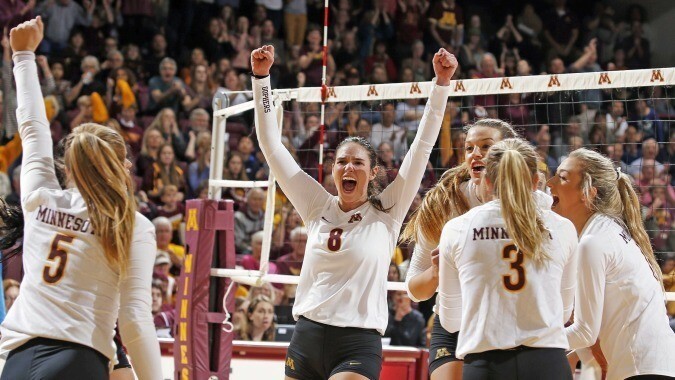 Wilhite started her college career in 2013 with the Minnesota Golden Gophers. She was named to the Academic All-Big Ten team during her sophomore year. In 2015, Wilhite and the Golden Gophers went against Texas in the National Semifinal but ended up losing 3-1. Wilhite was selected to the NCAA Regional All-Tournament Team. She also played for Team USA Collegiate National Team in China the following summer. Wilhite was named the AVCA and ESPNW National Player of the Year after a successful senior year. Minnesota proceeded to the NCAA semifinals consecutive years where they faced Stanford. Minnesota lost the match 3-1 and Stanford advanced to the National Championship Final. After finishing her college career, Wilhite made the move to Italy to play for Busto Arsizio. During the fourth round of the Italian Championship’s regular season, Wilhite suffered an ankle injury and had to be carried out the court. Wilhite is also one of the 16 USA volleyball players who signed with Adidas.